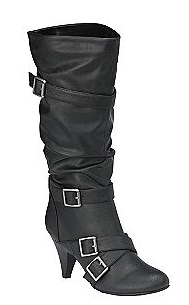 $10.49 for NY Women's Boots, Reg $79.99 + Free Site to Store Shipping!! WOW! You can get an awesome deal on a pair of SM New York Women's Marina Boots right now at Sears.com. These regularly cost $79.99 but are on clearance for only $10.49! All sizes are still available and they are also offered in wide widths. You can score free site-to-store shipping as well on these! (if you don't live near a Sears, shipping ran $6.99 for me). NOTE: If you'd like, you can score 2% cash back if you buy them through Ebates. Just search for item #05422680563 to find them quick on the Sears site. Thanks, I Save from A to Z!